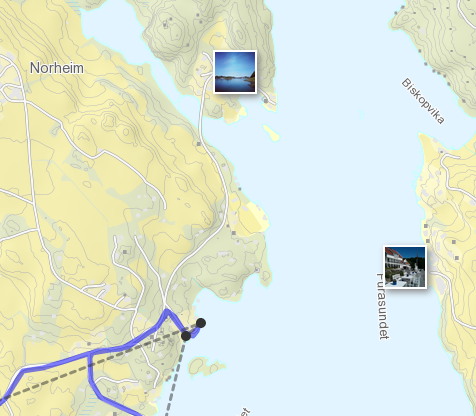 I was quite happy with the real-time map from the hike to Preikestolen yesterday. There were some issues with the SPOT Satellite Messenger I'll write about later. 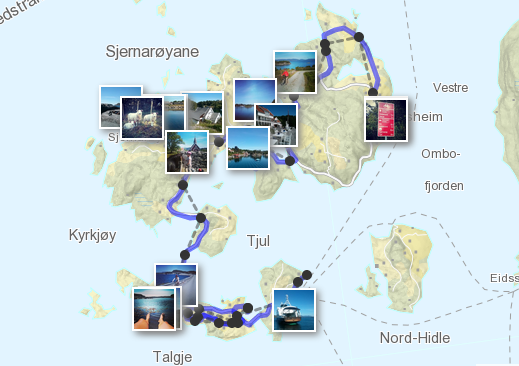 First I want to make a second test on a biking trip to Sjernarøyane archipelago. We'll bring a normal GPS on the trip, to be able to check the accuracy of the SPOT Satellite Messenger. We'll start biking about 9:15 am (Central European Summer Time) Sunday June 15th. New positions should appear on the map as we bike (every 5 minutes), but you still need to refresh the page to get new Instagram photos. I'm much more satisfied with the performance of my SPOT Satellite Messenger on this trip. 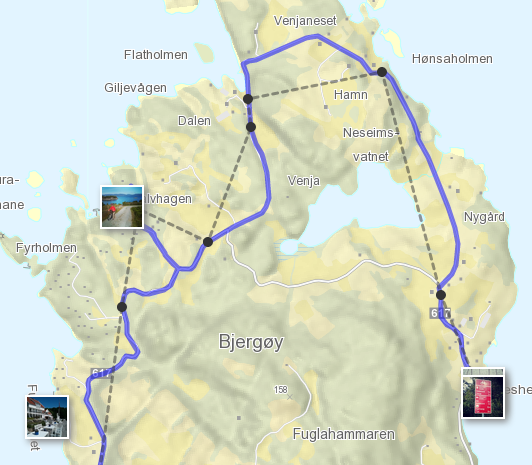 I brought with me a Garmin GPS to get the full track of the biking trip, and it's shown as a blue line on the map. The track shows an overlap between the SPOT positions and the Garmin GPS. 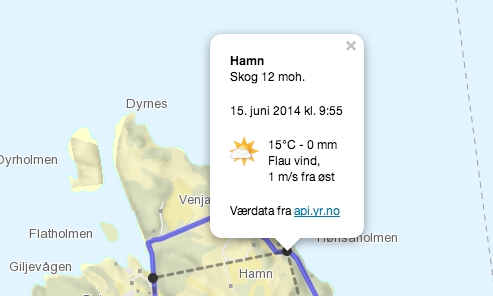 Automatically retrieving place name, terrain type, altitude and weather works. The weather forecast is not always correct, but quite good! Not all Instagram photos are correctly positioned. I will try to turn on the phone GPS if the mobile coverage is poor. The maps looks crowded with many photos. I'll try to adjust the thumbnail size.